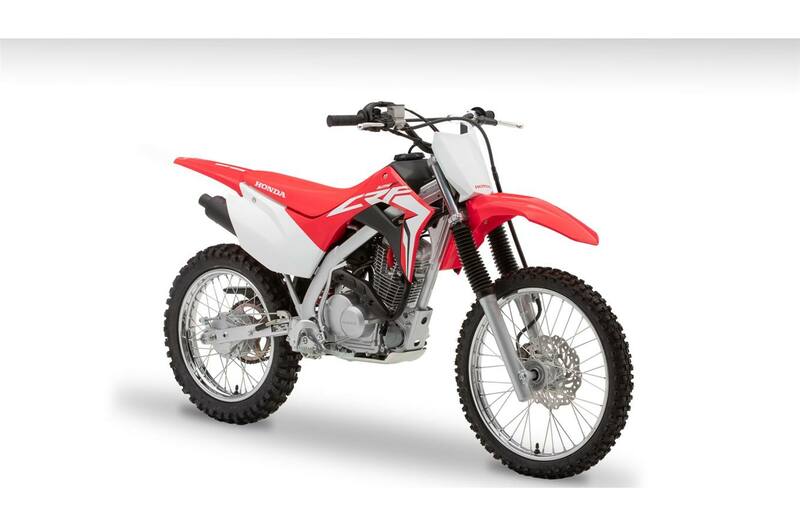 Ideal for beginners: Durable, simple, low-maintenance, 125 cc air-cooled single-cylinder 4-stroke engine develops the smooth, tractable power that's ideal for beginners. Simplified maintenance: Maintenance-free CD ignition and automatic cam-chain tensioner contribute to the engine's rock-solid reliability. New fuel-injection system: New PGM-FI electronic fuel injection ensures a smooth flow of power for easier handling, plus trouble-free operation and maintenance. Info at a glance: Handy LED lights indicate ignition ON, low fuel, and PGM-FI status. 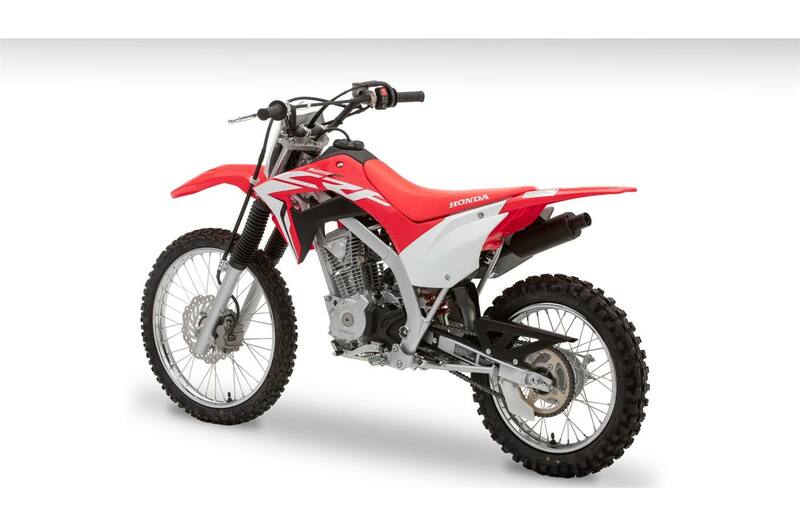 No second guessing if you've left the key on or you're about to run out of gas, and another way the CRF125FB helps young riders learn the basics of motorcycle operation. No engine oil contamination: Closed crankcase vent system safeguards against engine oil contamination. Designed to compete: Quiet muffler won't annoy the neighbours. Easy to start: Convenient electric starter with kick-start backup makes getting going a breeze. Smooth-shifting transmission: Durable four-speed transmission with a light-pull manual clutch provide smooth, sure engagement. 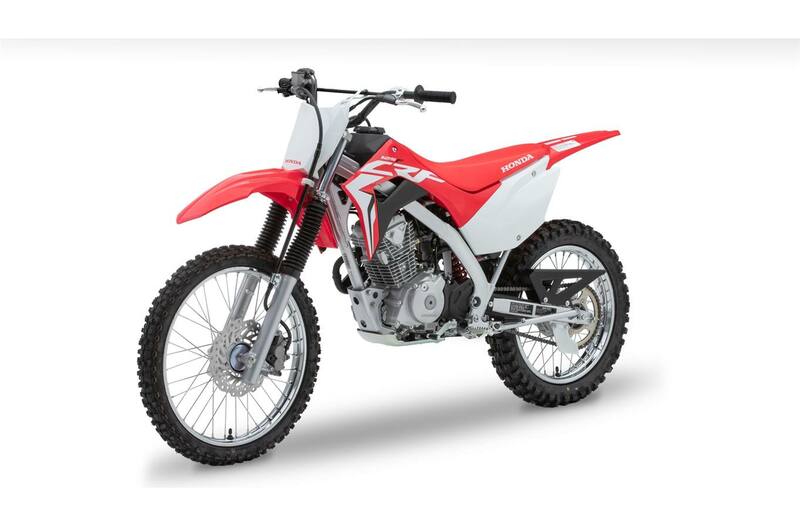 New twin-spar frame: The new twin-spar frame borrows its design from the CRF-R line, providing enhanced rigidity with just the right amount of tuned flex for optimum handling in a variety of conditions. Increased suspension travel: An extra 37 mm (1.5 in.) of travel from the upgraded leading-axle front fork means even better control and comfort over the toughest terrain. 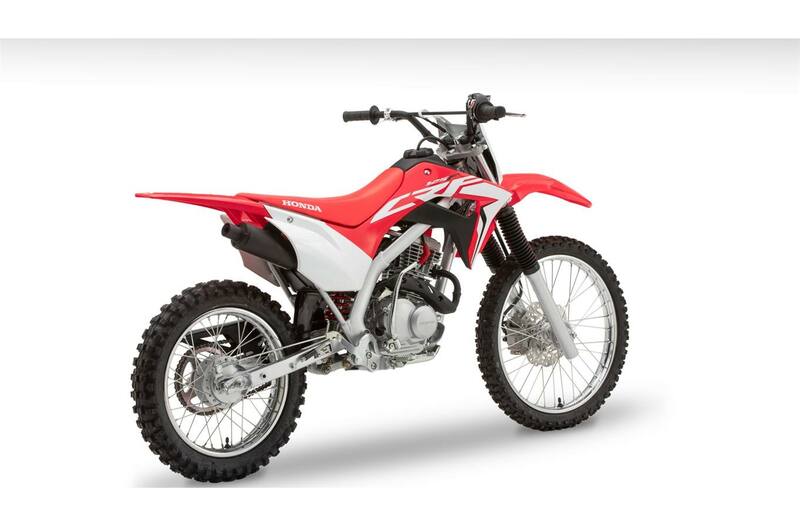 Remarkable grip & longevity: Knobby tires fitted to 19-inch front and 16-inch rear rims provide excellent grip and long life. 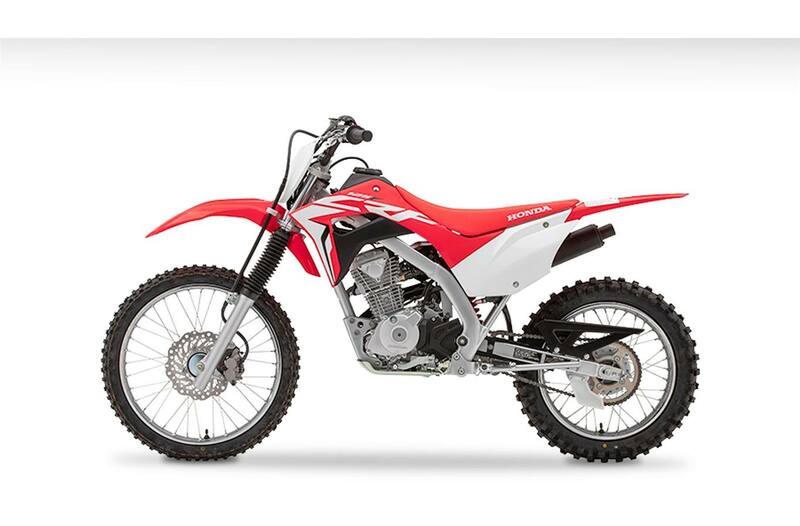 Cool look: CRF-R-inspired bodywork looks great, and is built tough for years of riding fun. 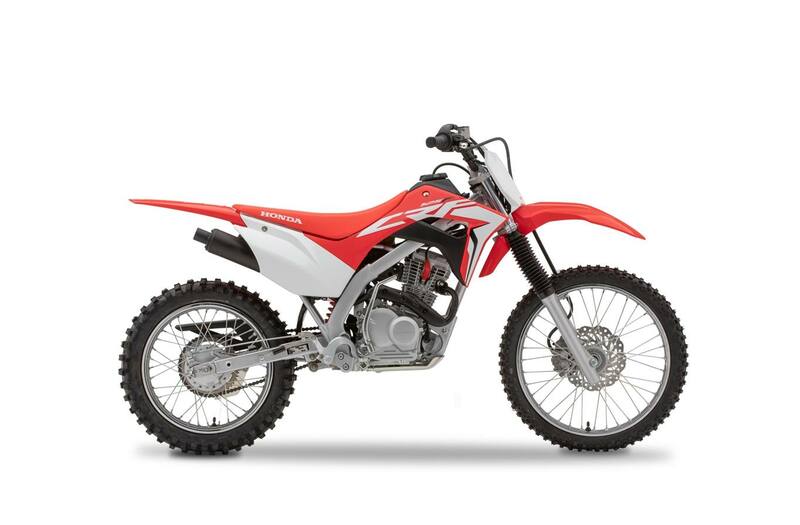 New durable fuel tank: Plastic-injected fuel tank with integrated fuel pump adds to the CRF125FB's legendary durability and ease of use. Spill protection: New easy-close gas cap with latch eliminates the risk of the cap loosening while riding. High-quality controls: High-quality controls include comfortable grips and levers. Extra protection: Fork boots help protect stanchion tubes and fork seals. Long-life sprockets: Durable steel sprockets are built for the long run.